I’ve always liked the 80s-era Audi 4000. To my eye they look better than the 5000, cleaner, more compact. 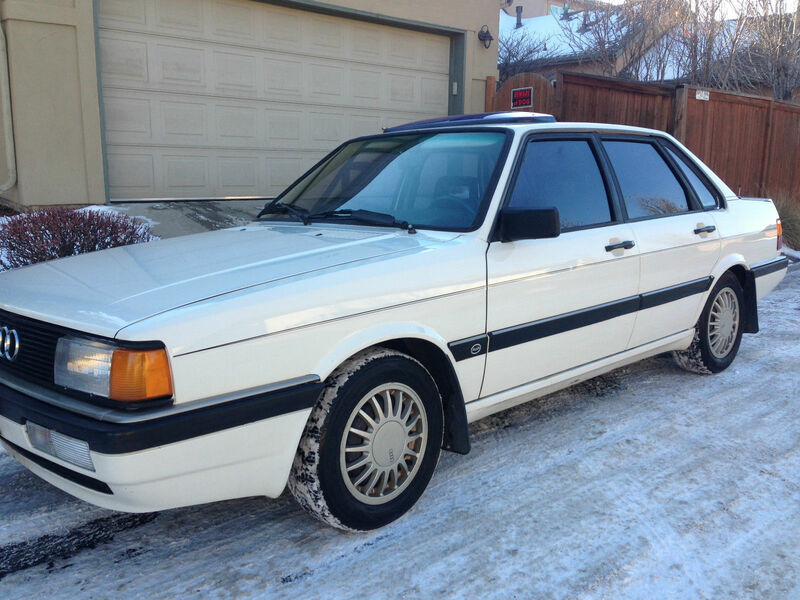 Here’s an 1985 Audi 4000S (spotted on Bring a Trailer) with only 112k miles, a 5-speed gearbox, a sun roof, and, of course, Quattro all-wheel drive. 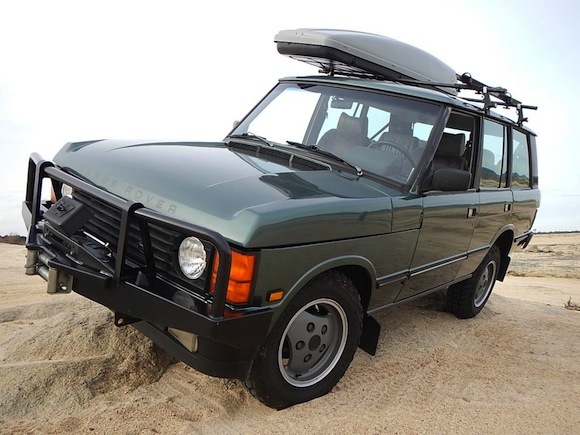 This model was equipped with an inline, 5-cylinder engine rated at a modest 115 hp and 126 ft. lbs of torque. That’s good for a 9.5-second 0–60 time. 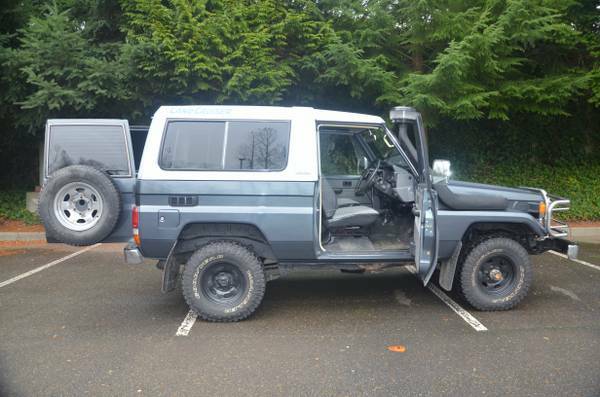 People say they’re quiet fun to drive though. This car is reportedly owned by a German-car-repair-shop owner in Denver and is said to have been completely mechanically sorted out. 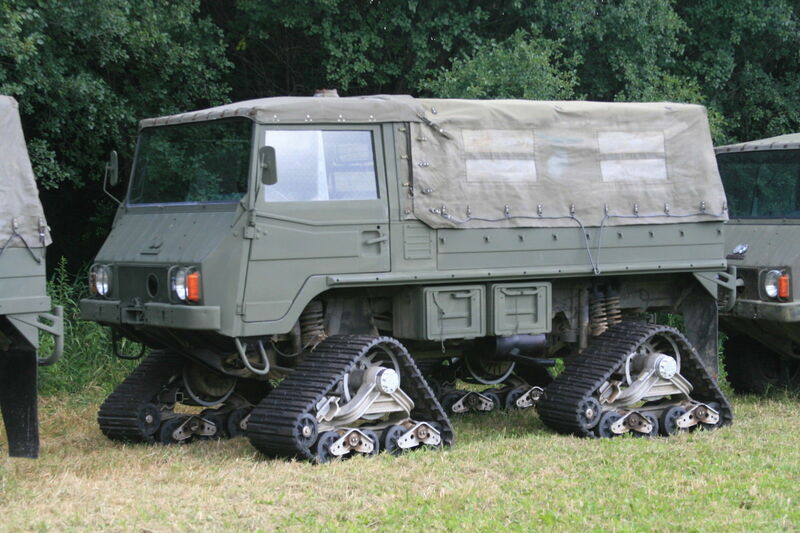 A note on this model’s Quattro all-wheel-drive system: all four wheels are permanently engaged through three open differentials. The center and rear diffs. are lockable via levers on the dashboard. Bidding currently stands at $7,500 with 24 bids and three days left on the clock. Bidding on this Audi just ended at $12,655 with 36 bids. 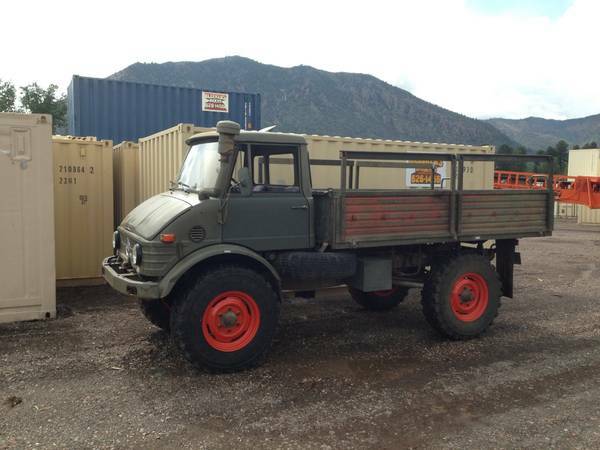 There’s a relatively inexpensive Unimog for sale in Flagstaff. 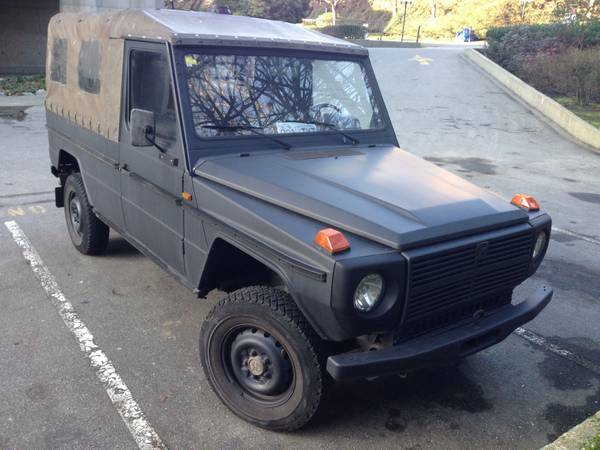 It’s a 1972 U404.0. 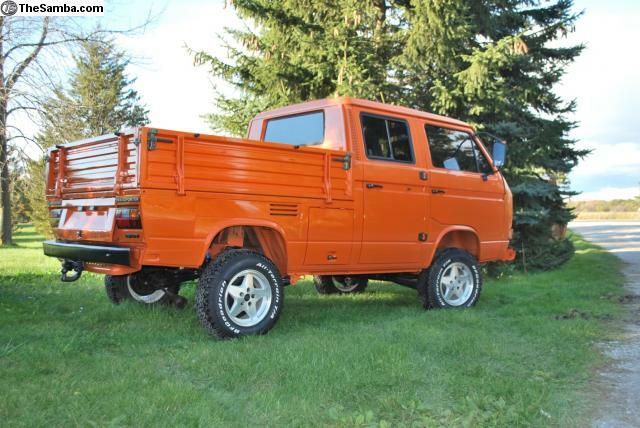 According to my research, the U404.0 was a gas-engined, civilian market model which benefited from a more modern cab, power steering and a larger M130 2.8-liter motor, compared to the M180 2.2-liter fitted in the 404.1 military versions. The civilian 2.8-liter motor is actually a benefit as it has higher compression and can achieve decent roads speeds, but it’s still slow by modern standards. (Plan for a 50mph cruising speed.) The M180, military motor was set-up for low compression to run on poor quality fuel (60–70 octane) and is much less powerful. The 404s have six forward speeds, two reverse, and shift-on-fly 4-wheel-drive. 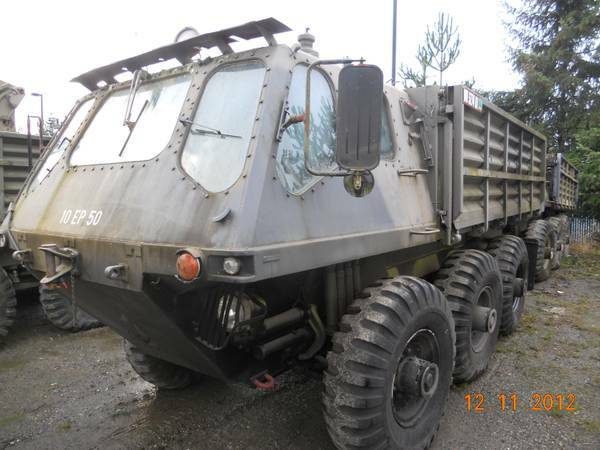 And, of course, they have the Unimog’s famous portal axles, locking differentials, and bullet-proof drive train. This one is reported to have like new Continental tires, a fresh clutch and recent tune-up. I like the olive drab paint and red wheels. 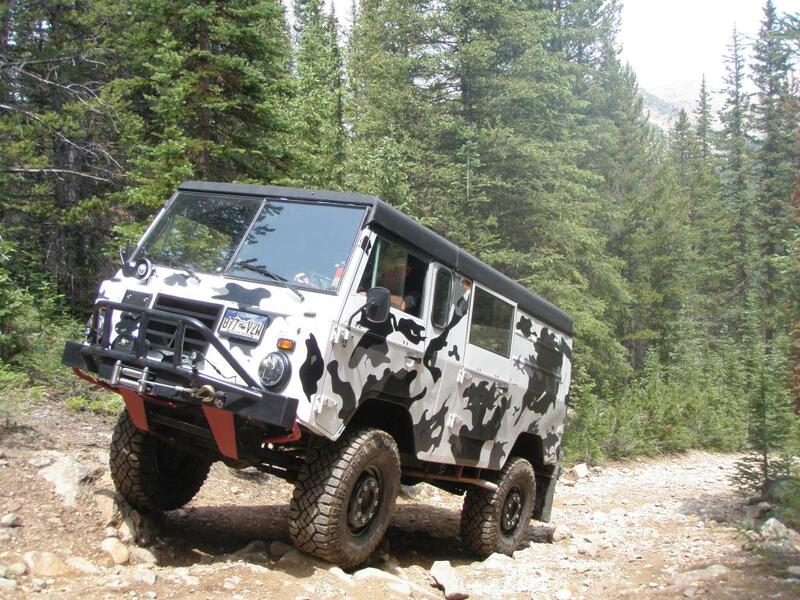 Loud and slow, perhaps—but amazing off-road. 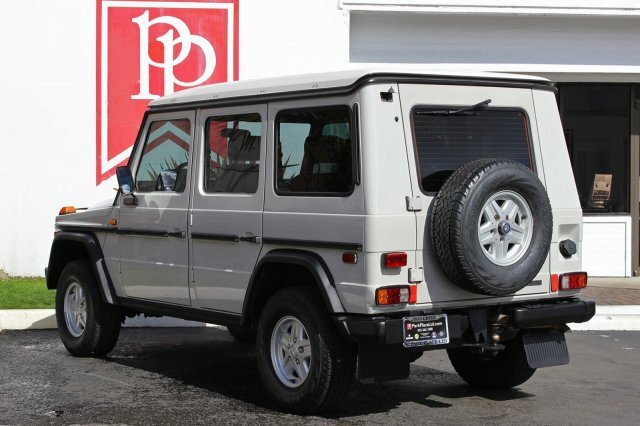 It’s available for $10,000 o.b.o. Thanks for the tip, Richard!